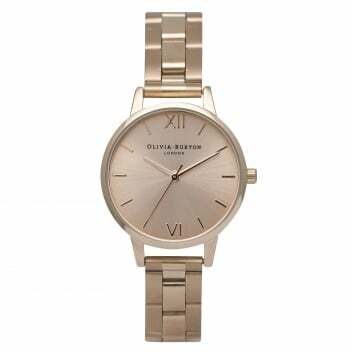 This gorgeous Sunray Dial watch from Olivia Burton is simply gorgeous. We love the Rose Gold colour which is pretty and feminine. The bracelet style is chic and elegant, the perfect thing to add style to any outfit. Please Note: In order to adjust the size of this strap, it will need to be taken to a jeweller.